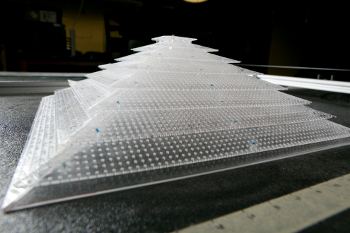 Using little more than a few perforated sheets of plastic and a staggering amount of number crunching, Duke engineers have demonstrated the world’s first three-dimensional acoustic cloak. The new device reroutes sound waves to create the impression that both the cloak and anything beneath it are not there. To test the cloaking device, researchers covered a small sphere with the cloak and “pinged” it with short bursts of sound from various angles. Using a microphone, they mapped how the waves responded and produced videos of them traveling through the air. 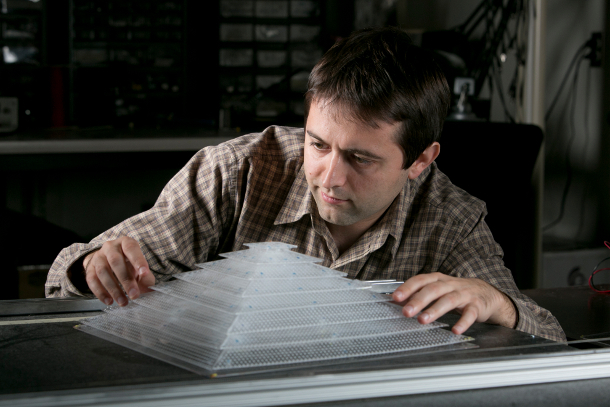 Although the experiment is a simple demonstration showing that the technology is possible and concealing an evil super-genius’ underwater lair is a long ways away, Cummer believes that the technique has several potential commercial applications.